TVAM - Psychic Data. Vinyl LP. Bleep. 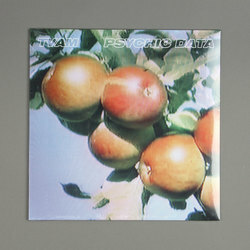 TVAM melt the memories of motorik post-punk into a fully kitted out studio set up on Psychic Data. Pushing for a pure psychedelic sound that is ripe with electronic riffage, they call on inspiration from Boards of Canada, Suicide and My Bloody Valentine for this extended session. Strong sounds for the electronic-indie brigade!